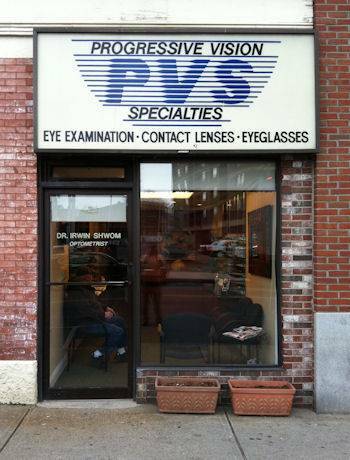 With our recently renovated office located in Everett Square, less than 5 miles from Downtown Boston, Dr. Irwin Shwom has served as your North of Boston Optometrist in Middlesex County for over 36 years. Please call or schedule an appointment online with our optometrist to see how we can help you get the best prescription for your eyes. Dr. Shwom’s office is open to serve his patients. Drop in anytime to browse through our large selection of designer eyeglass frames or sunglasses.